Alley Company, LLC is an independent, registered investment advisor. Founded in 1998 by Steven J. Alley, we manage proprietary stock and bond portfolios and provide asset allocation advice for a limited number of select clients. Our investment philosophy is to own high-quality companies with dominant market power and astute management teams. We are long-term investors, not traders. We deliver a high level of client service and build portfolios that clients can understand and trust. We have been rewarded with a high client retention rate. Listen to Steve Alley talk about our philosophy. We provide a private money management experience. Recognizing that each of our clients is unique, Alley Company customizes investment solutions for client specific goals and objectives. To learn more about our customized investment solutions, please click on the categories below. The Alley Company Dividend Portfolio seeks to achieve a balance between attractive absolute dividend yield and strong dividend growth underpinned by quality company fundamentals. Our goal is to produce an attractive and rising income stream along with capital appreciation. We seek out companies with proven track records of dividend payout as well as strong balance sheets and durable competitive advantages in their businesses. The Alley Company Core Portfolio seeks to compound long-term rates of return by investing in high-quality growth companies. We build portfolios of leadership companies with proven track records and strong potential for sustainable future growth in revenue, earnings, and free cash flow. Attractive dividends are an important part of the portfolio, but we will also invest in companies that choose to reinvest cash flow into growth opportunities, acquisitions, or share repurchase activity. In building and managing asset-allocation programs, we focus on risk-adjusted returns. Through asset allocation, we seek to increase overall return for a given degree of risk, or to reduce overall risk for a targeted level of return, depending on a client’s needs. For asset allocation to produce successful risk-adjusted returns over any meaningful time frame, the right asset classes with the right properties must be blended together in the right proportions. Alley Company utilizes ETFs to complement our proprietary products and to build out our asset-allocation programs. We engage in extensive analysis to determine which ETFs are appropriate for our investors. We focus on low-cost, liquid and tax-efficient ETFs that help us gain exposure to important asset classes such as small and mid-cap U.S. equities, international equities, and fixed-income. Other customized investment solutions offered by Alley Company include careful management of concentrated stock positions and strategies for achieving a targeted level of portfolio income. Our expertise in the options market can facilitate the disposition/diversification of a concentrated stock position and can enhance portfolio income. We also provide advice on any number of capital markets or financial-related matters specific to a client. Alley Company uses an industry-standard portfolio management reporting system. This approach allows us to provide our clients with information regarding their total portfolio, including asset classes, performance measurement and cost-basis reporting for tax accounting. When investors engage Alley Company, they tap directly into the expertise of our partners, Steve Alley, Rik Duryea, and Tom Van Vuren. Each of our partners has spent his entire career in the investment management industry and, as an owner in our firm, is dedicated to long-term client success. We adhere to a disciplined investment philosophy of investing in high-quality companies. We seek out companies with durable track records of success, strong management teams, and opportunities to continue to grow their businesses. Overarching our investment philosophy is a focus towards the long term and compounding our clients’ capital in a tax-efficient manner. We work closely with our clients’ other professional advisors on financial matters such as estate planning, tax planning and retirement planning. We often quarterback these collaborative efforts, or we can function as an advisory member of a team, depending on which approach works best for the client. We seek to build strong, long-lasting relationships with our clients. Because we serve only a limited number of select clients, each client receives a high level of personalized service. Alley Company serves investors who want a long-term relationship with a trusted, hands-on advisor who has a disciplined investment philosophy and can customize an investment program to suit their needs. The Alley Company Dividend Portfolio is available to financial advisors, including through Envestnet, a leading provider of integrated portfolio, practice management, and reporting solutions to financial advisors and institutions. The Alley Company Dividend Portfolio seeks to achieve a balance between attractive absolute dividend yield and strong dividend growth underpinned by quality company fundamentals. Our goal is to produce an attractive and rising current income stream and superior risk-adjusted investment performance. We achieve our results by maintaining portfolio holdings in companies with strong financial condition, strong relative earnings power, astute management, and a Company culture of returning capital to shareholders through dividends. Risk management is viewed as being integrated throughout the entire investment process. Click here to learn more about our investment process for the Alley Company Dividend Portfolio. Click here to read our latest quarterly letter for the Alley Company Dividend Portfolio. Click on the links below for recent dividend related commentaries by Alley Company. President of Alley Company and has investment experience dating back to 1983. Steve Alley is the President of Alley Company and has investment experience dating back to 1983. He founded the firm in 1998 after a 12-year career with Morgan Stanley, including five years as Managing Director of Private Client Services and the Institutional Equity Department in Chicago. He earned a bachelor’s degree in business administration and an MBA in finance from the University of Wisconsin, where he was a student in the Applied Securities Analysis Program. Steve also played hockey at Wisconsin, on the U.S. Olympic hockey team in 1976, and in the National Hockey League. Managing Director of Alley Company, began his investment career in 1993. Rik Duryea is a Managing Director of Alley Company and began his investment career in 1993. He joined Alley Company in 2005 after working as a senior equity analyst at St. Paul Travelers and as an equity analyst at Piper Jaffray. He graduated from Colorado College, where he earned a bachelor’s degree in economics and competed as a Division I intercollegiate hockey player. Rik has earned the Chartered Financial Analyst (CFA) designation. Managing Director of Alley Company, has investment experience dating back to 1998. Tom Van Vuren is a Managing Director of Alley Company and has investment experience dating back to 1998. He joined Alley Company in 2014 after working as a senior equity analyst at Holland Capital Management and as a portfolio specialist at GW&K Asset Management. He is a graduate of Colgate University with a bachelor’s degree in philosophy and has achieved the Chartered Financial Analyst (CFA) designation. 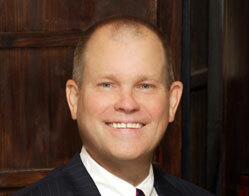 Senior Vice President of Alley Company, joined the firm in 2012. 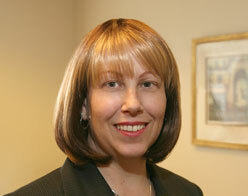 Stacy Ambrosini is a Senior Vice President of Alley Company and joined the firm in 2012. She began her investment career in 1992 and has previously worked for Front Barnett Associates and Mesirow Financial. She brings over twenty years of industry and client service experience to the firm and has specialized in portfolio reporting, compliance and back office operations. She graduated from St. Norbert College, having earned a bachelor’s degree in business administration with a concentration in finance. Vice President of Alley Company, joined the firm in 2016. Art Stewart is a Vice President of Alley Company and joined the firm in 2016. He has worked in the financial services industry for over 20 years, including floor trading operations and fixed income trading at the CBOT and wealth management support and middle/back office operations at The Northern Trust Bank. He graduated from DePaul University with both his BA and MBA in finance. Art has also officiated sports over the years, including a stint out of college as a Minor League Baseball umpire. As a client service, Alley Company publishes quarterly letters featuring investment-market information and analysis. We also publish investment commentaries periodically to enhance clients’ understanding of our investment philosophy. 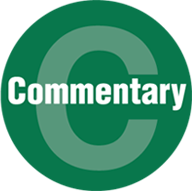 To view recent letters and commentaries, please click on the links. No client or potential client should assume that any information presented or made available on or through this website should be construed as investment advice. Investment advice can only be rendered after engagement of the firm for services, execution of the required documentation, and receipt of required disclosures. Please contact the firm for further information.